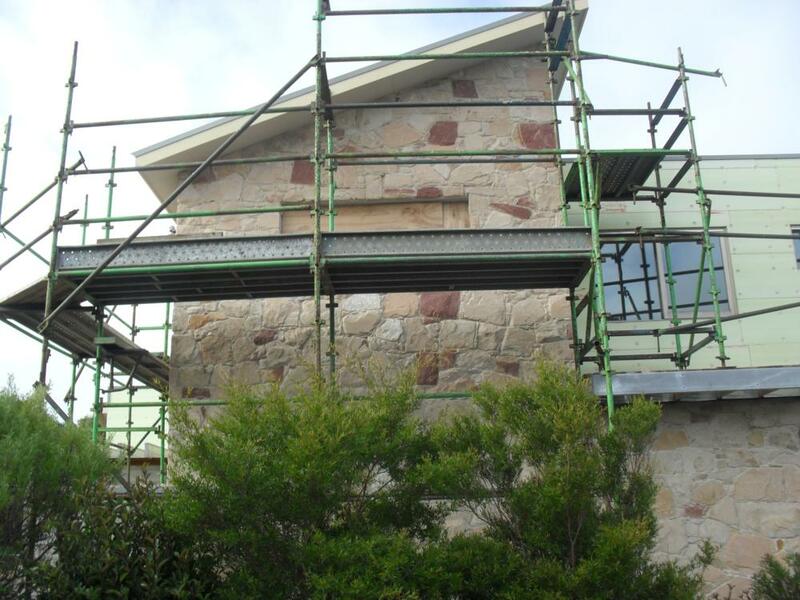 From time to time the Grampians Sandstone website features information or pictures from our clients’ projects. 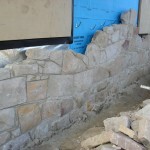 Hopefully this information will be useful for anyone wanting to learn how to build a stone house or stone wall. 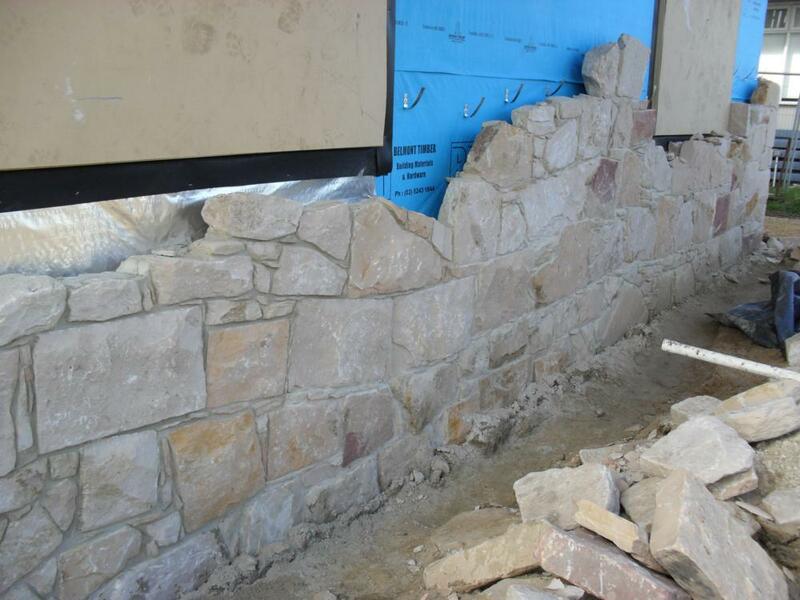 And to be honest, though our sandstone quarry is over 150 years old, we still get a buzz from seeing the amazing things that people build from our beautiful sandstone! 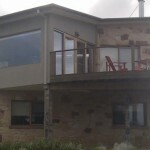 Like most of the photos on our website, these won’t win any awards in the glossy home magazines. 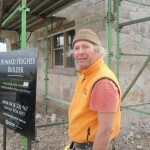 These are ‘work in progress’ pictures, often taken onsite, on a mobile phone, in mud and poor light. 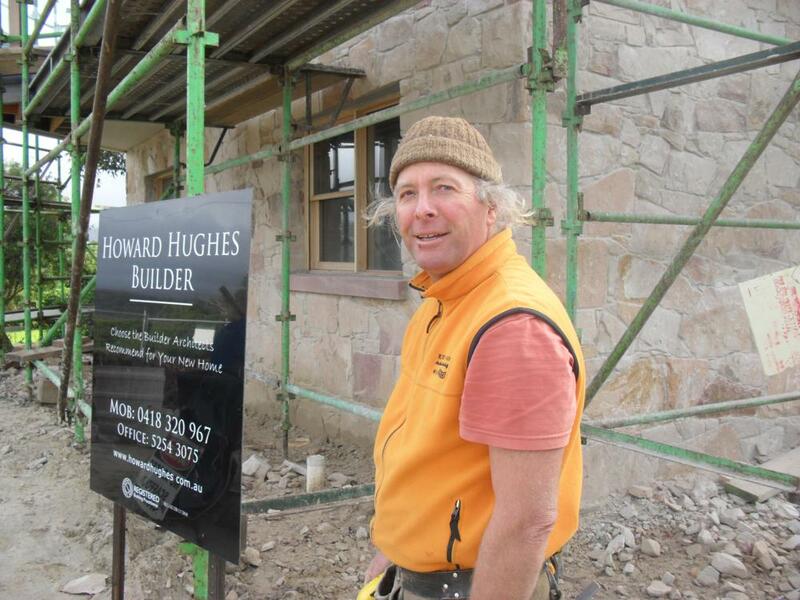 They’re meant to be informative, rather than gorgeous – but will hopefully give anyone thinking about building with stone a realistic idea of how things can be done and what’s achievable. 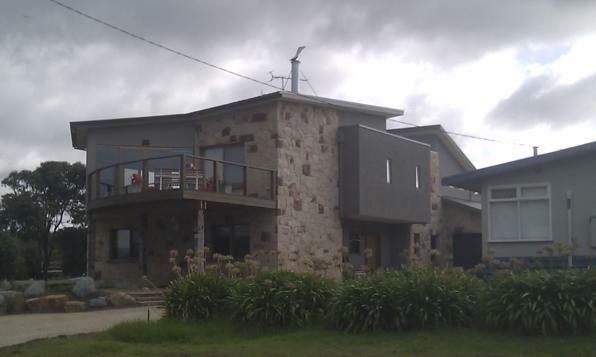 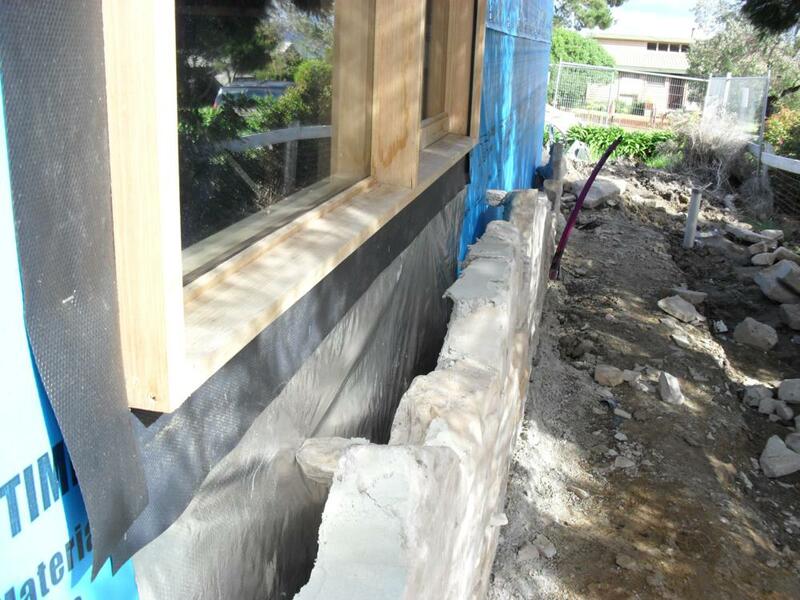 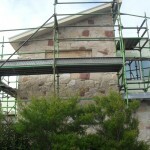 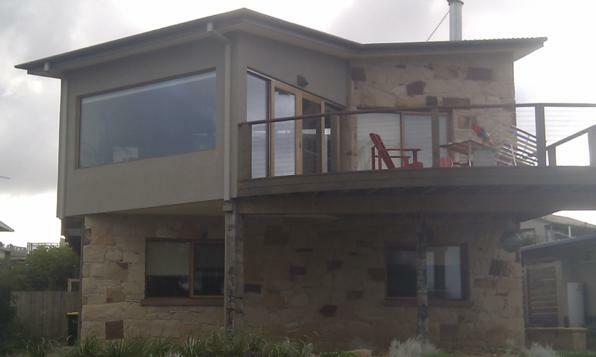 This project is a house at Aireys Inlet that was built just a year or two ago and the photos are instructive for anyone wanting to know how to build a stone home. 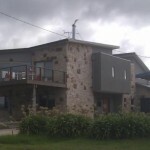 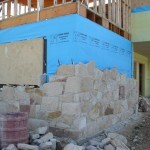 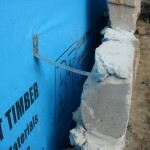 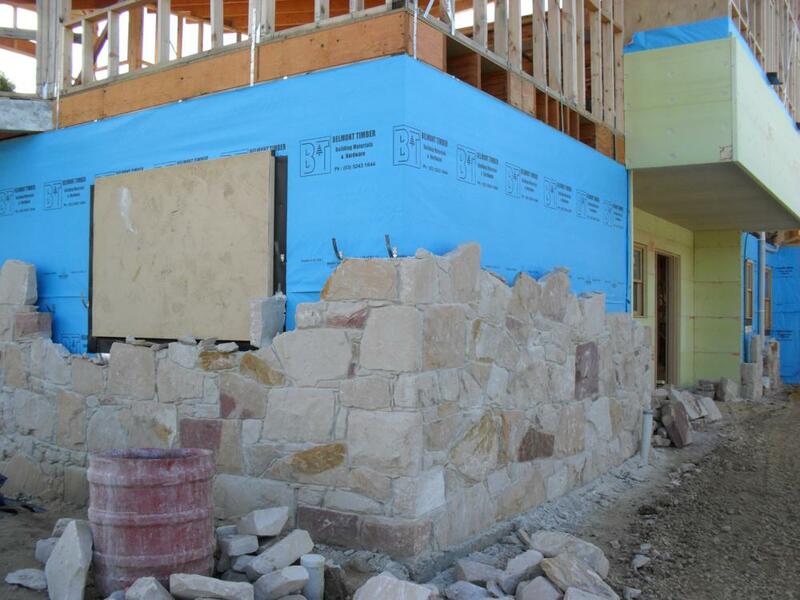 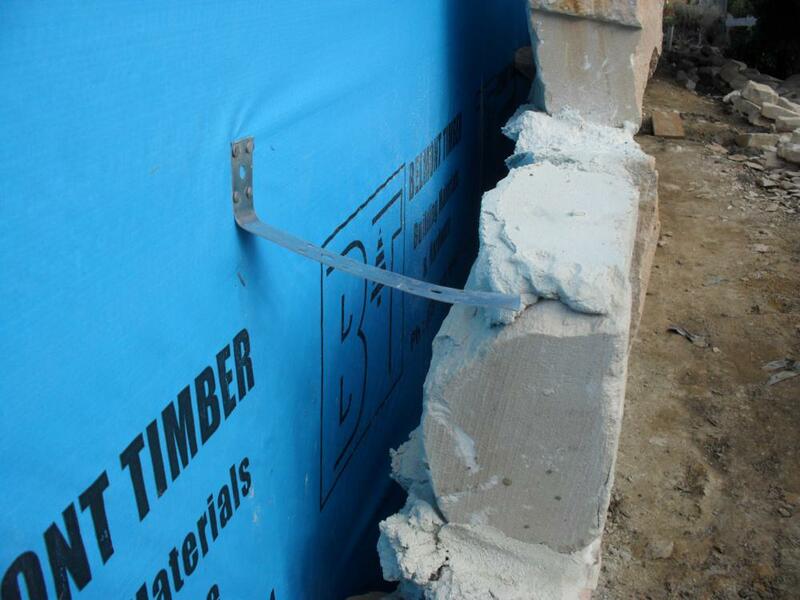 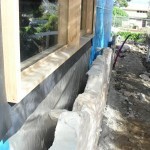 They show how stone can be simply used as a veneer over a standard timber house frame. 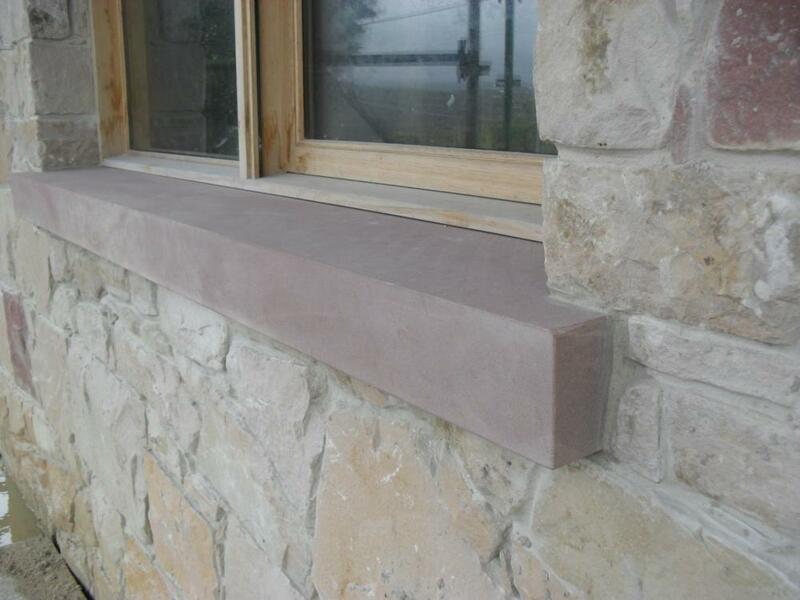 The smooth sawn, red, stone sills complement the random stone walls. 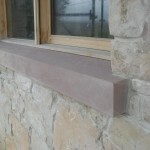 This job was built using Grampians Sandstone Selected Freestone.